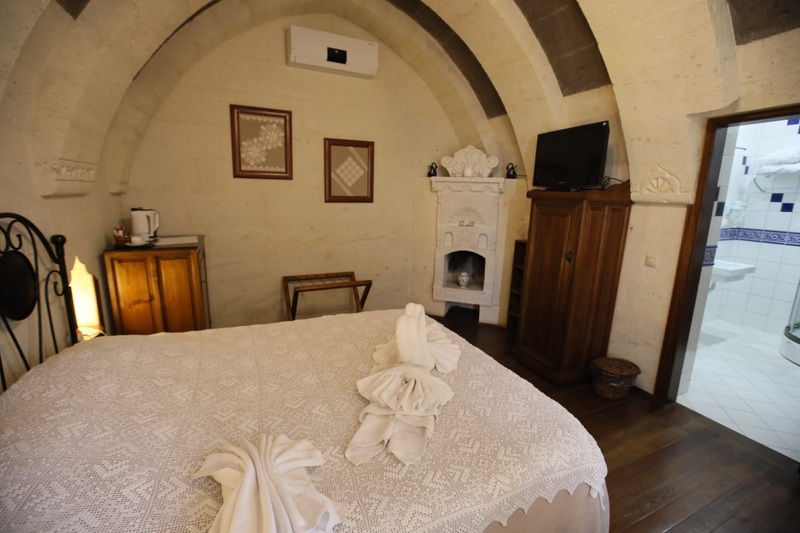 In Cappadocia, in a stupendous environment, lets have astay at any time in an hotel plenty of character. Have a look on the charming landscapes of Cappadocia moonlike scenery which will be captivating wether under the summer shining sun or the winter snow. 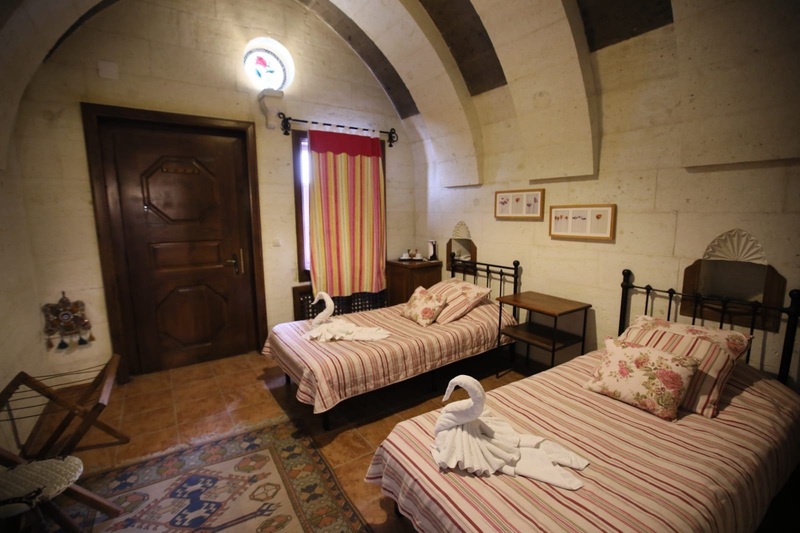 In the heart of Cappadocia, in Uçhisar situated at an altitude of 1260 m where a troglodyte fortress, "the Castle"" looks down upon the typical little village, the staff of Lale Saray Hotel is ready to welcome you. You will enjoy your stay at Lale Saray Hotel with its modern comfort, typical white and black stone architecture and warm welcome. You would appreciate the incredible scenery on the Valleys. Lale Saray Hotel will provide you an heavenly accommodation for a short stay or longer holiday at any time in the year. 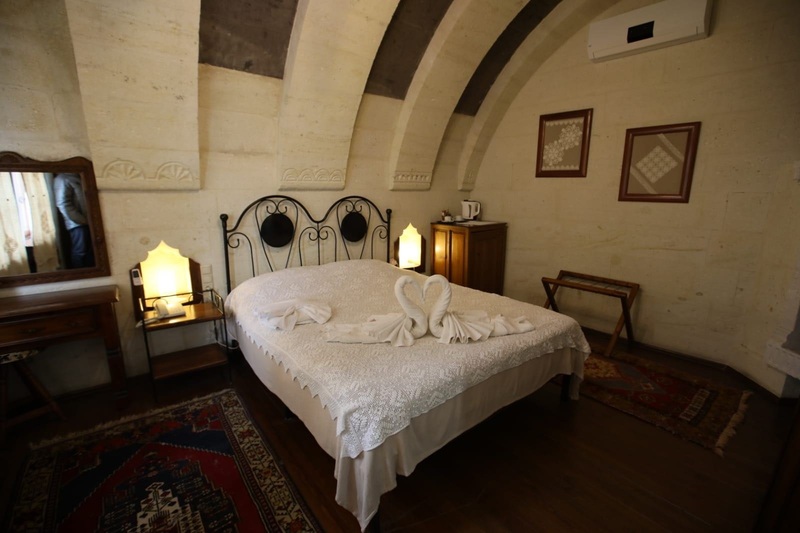 You would have lunch or dinner (typical Turkish food) or breakfast with open buffet in our dining room or on the terrace enjoying the panoramic sightseeing on Cappadocia. As soon as you arrive, our staff, English and French speaking will welcome you as Turkish people do. Guide speaking English and activities on request at our front desk. 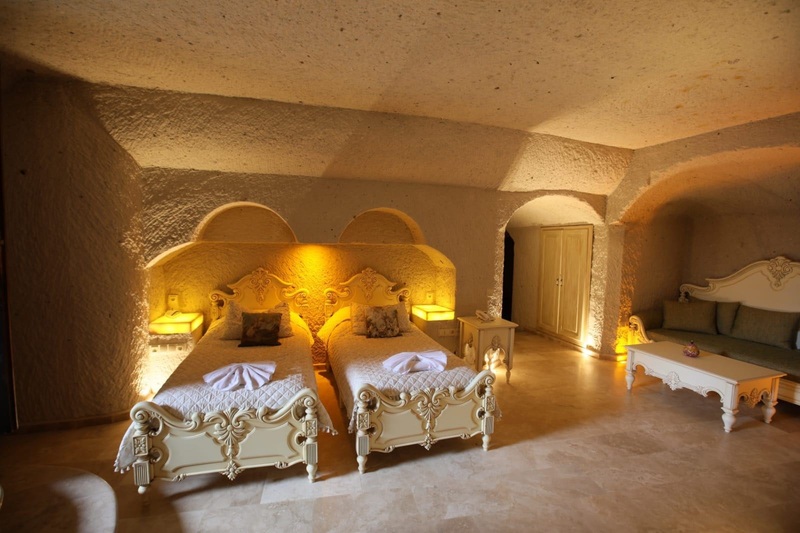 14 rooms: 7 cave rooms, 6 vaulted rooms and 1 with wooden ceiling all provided with natural air-conditionning. 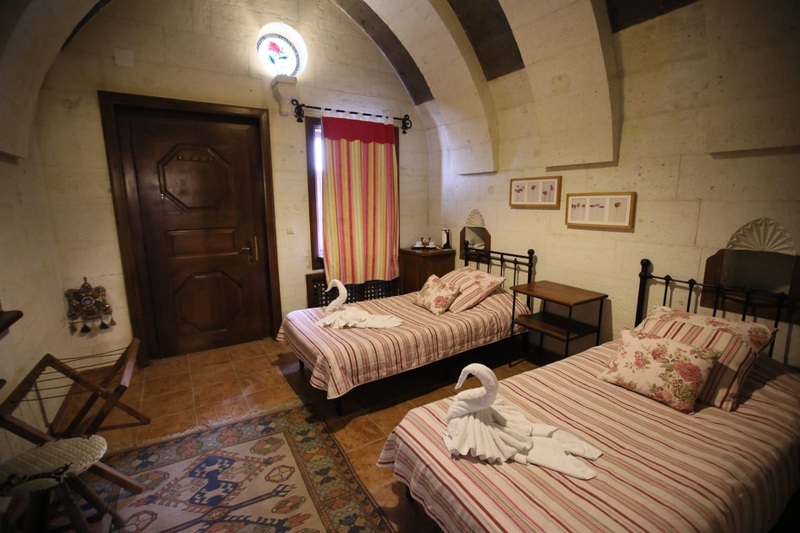 Standard and luxury rooms. 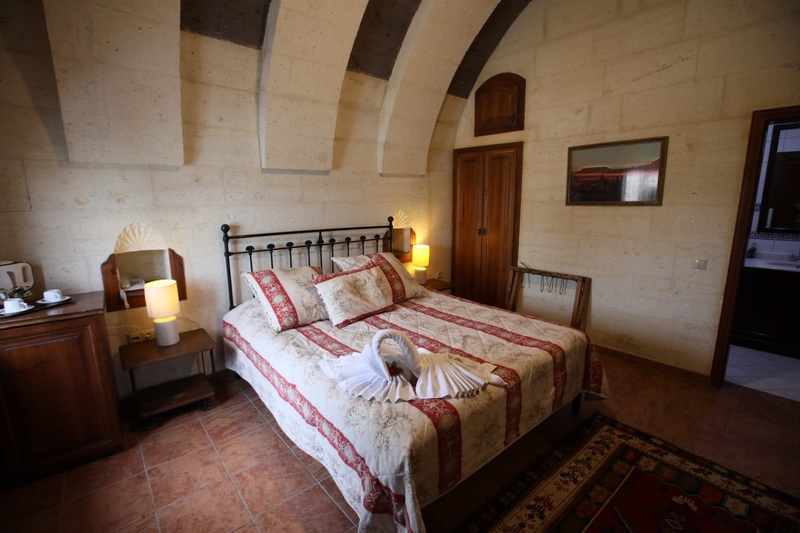 1 family suite for 5 persons and several family rooms for 3 or 4 persons. 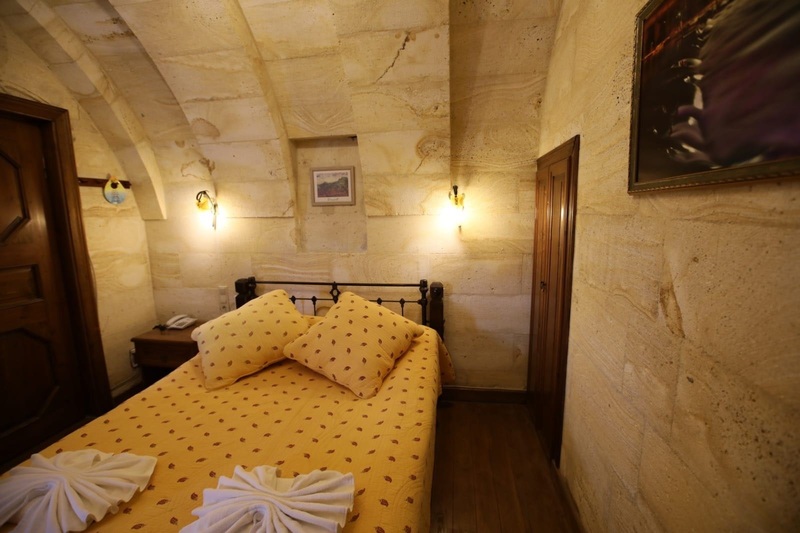 Each room is different with a special color touch and a cosy atmosphere. They are all fitted out with modern comfort and central heating. All the bathrooms are fitted out with massage shower or private jaccuzzis and hair dryer. The hotel has been built so that families can enjoy intimate stays and groups can have fun together in the same time.